Visit the most popular sights of India, Bhutan and Nepal with a very special price. 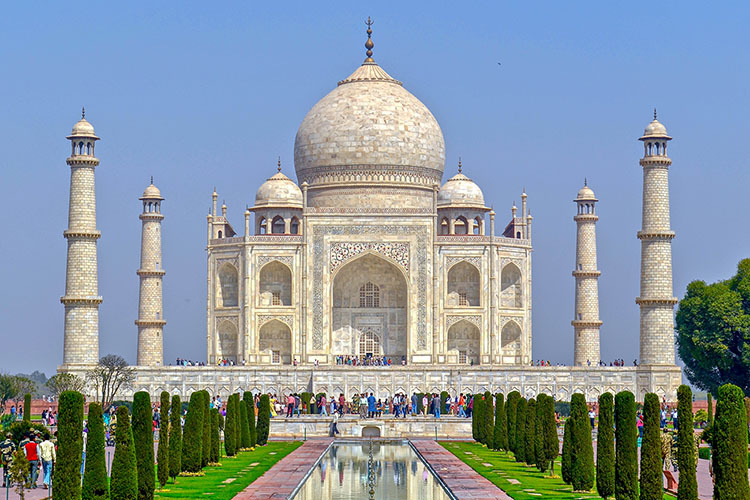 This private tour includes the Taj Mahal in India, the Tiger's Nest in Bhutan and Kathmandu city in Nepal. The flights between India/Nepal and Bhutan even give you a full tour of the eastern Himalayan mountains including Mount Everest (providing the weather cooperates). Rate based on twin sharing for any departure date between January 1, 2019 and December 31, 2019. Arrive at Indira Gandhi International Airport, New Delhi. 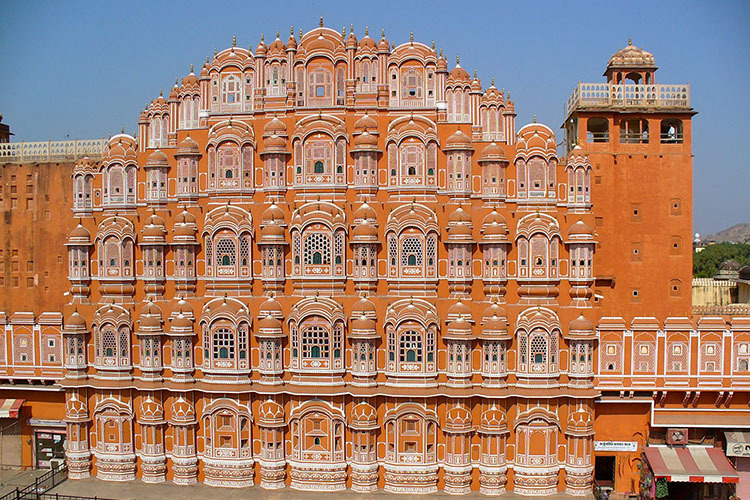 Meet your local guide for the tour and start your full day tour in Old Delhi. Visit Red fort and Jama Mosque then take a rickshaw ride to Rajghat & Humanyun Tomb. After breakfast at the hotel, drive to Agra to see see the most beautiful building in the world, “The Taj Mahal” followed by Agra Fort. After breakfast, return to Delhi. Enroute visit Fatehpur – Sikri and Humanyun tomb. Checkout from the hotel and transfer to Delhi's Indira Gandhi International Airport for your flight to Paro, Bhutan. 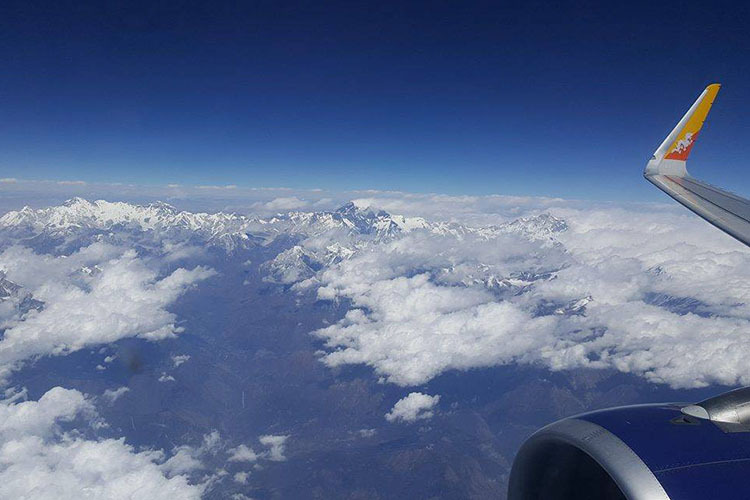 The flight to Paro offers breathtaking view of the mighty Himalayas. After completing the immigration check in Bhutan meet your guide and driver who will accompany you for your tour of Bhutan. After eating lunch, drive to Thimphu. 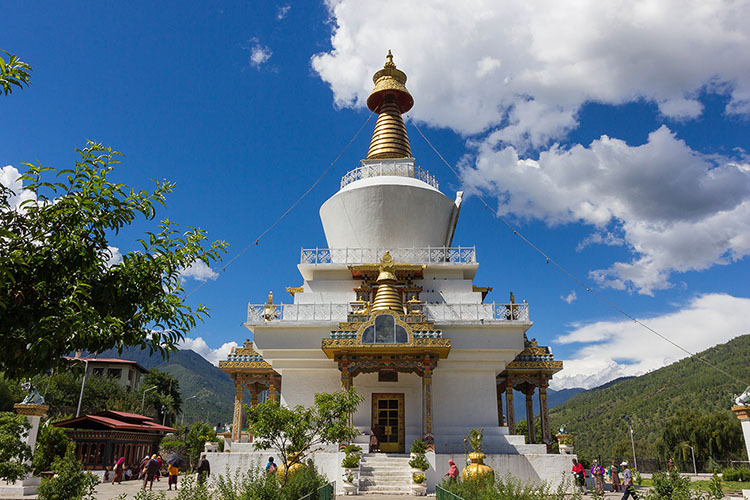 Do some local sightseeing in Thimphu today to visit places of interests like, the Folk Heritage Museum, the painting school, and the National Memorial Chorten. Visit the post office to see the award-winning stamps of Bhutan. After lunch, drive to the mini-zoo to see the most endangered national animal of Bhutan Takin, then visit the Buddhist Nunnery. In the late afternoon, visit Tashichho Dzong, a beautiful medieval fortress. After breakfast, drive to Punakha. On the way, stop by Dochu La and get the view of the Himalayas and see the 108 stupas built by the present Queen Mother. 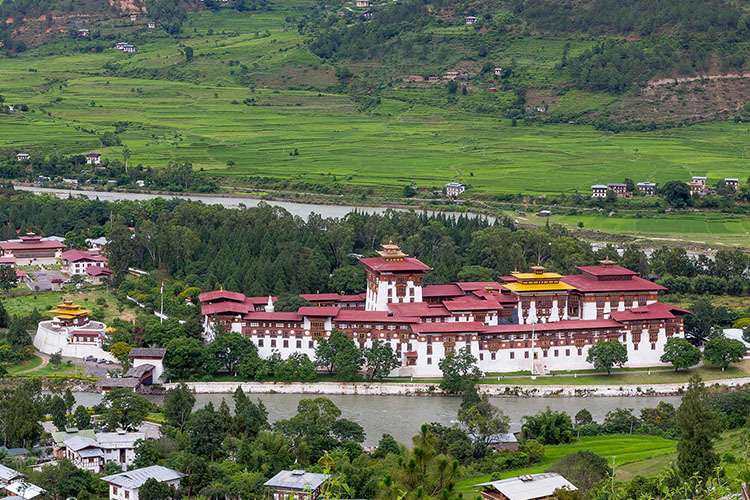 Upon reaching Punakha, visit Punakha Dzong, the old capital of Bhutan and the winter residence of Monks bodies. This morning, hike to the beautiful and breathtaking Khamsum Yuelley Monastery perched on a hill in Northern side of Punakha valley. We will also take a short hike to visit Chimi Lhakhang, the Temple of fertility. After lunch drive to Thimphu. This morning, visit Kuenselphodrang, the world’s tallest sitting statue of Shakyamuni Buddha. After lunch drive to the top of Chele La pass, the highest motorable pass in Bhutan, to get a bird's eye view of the Paro and Haa valleys. The Taktsang Monastery (known as the Tiger's nest) is a 2-3 hour hike. Lunch will be served at the cafeteria which is a beautiful viewpoint from where the Taktsang Monastery is visible. After a tour of the Monastery hike downhill where the vehicle will be waiting to transfer the clients back to the hotel. Early morning drive to airport where you will catch your flight to Kathmandu Nepal. During check-in ask for a seat on the right hand side of the plane to get a great view of the Himalaya mountains again. Upon exiting the airport meet your driver for transfer to your hotel. The sest of the day is free for you to get acquainted with city. 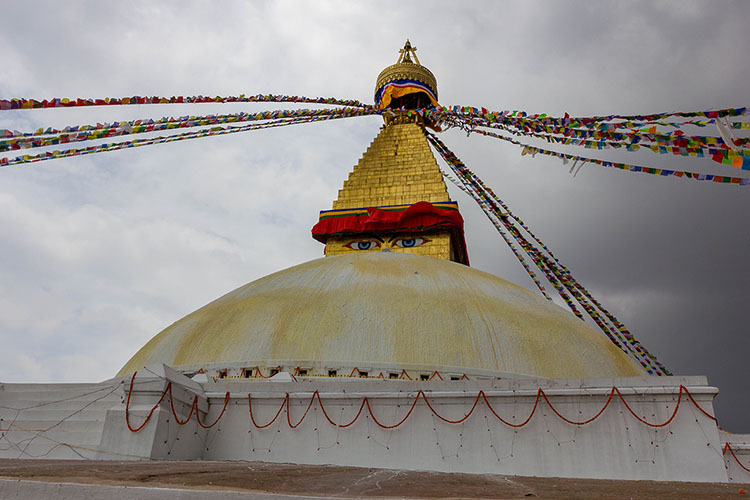 After breakfast, proceed with your guide for sightseeing tours to visit the holiest Hindu template in Nepal followed by the Buddhist Boudhanath stupa. In the afternoon visit Swayambhunath Stupa (monkey temple) located at the top of a green hill. If you are fit you can request to be dropped at the foot of the hill to climb the 365 steps to the temple. Visit of old Kathmandu Durbar Square with its stone-paved lanes, colorful bazaars, the Temple of the Living Goddess. Drive to Nagarkot with a sight seeing in Bhaktapur city. Rest of the day free for individual activities and overnight at the hotel. Transfer to Kathmandu airport for your departing flight back home. A payment of $100 USD per person is required to book the trip. The balance of the payment is due 30 days before the trip. The airline tickets require full payment in order to be booked. If you need to cancel your trip, you will be refunded your money less the cancellation charges listed in the table below less any bank transfer charges. After the trip starts there is no refund permitted. Changes can be made at any time. The first date change is provided at no cost and each change after is subject to a $25 charge per person. Date changes are subject to flight and hotel availability. The airline has specific rules regarding cancellation and changes. We will inform you of the details before booking the tickets. If you are interested in this trip either fill out the form below or send us an email at info@bhutanpeakadventure.com. The trip duration and itinerary can be modified to fit any schedule but the price is likely to change. At Bhutan Peak Adventure, we take your privacy very seriously. If you contact us regarding this trip or for any or inquiry, we will not subscribe you to any email list and only send you emails regarding this trip.